Submitted photos The Third Annual ArtFest raised money and displayed artistic works at Beavercreek Community Park on Sept. 16. More than 40 local artists of all mediums along with creative organizations will display their works. This year’s Featured Artist will be Jes McMillan with Crane Studios Market and The Mosaic Institute of Greater Dayton. 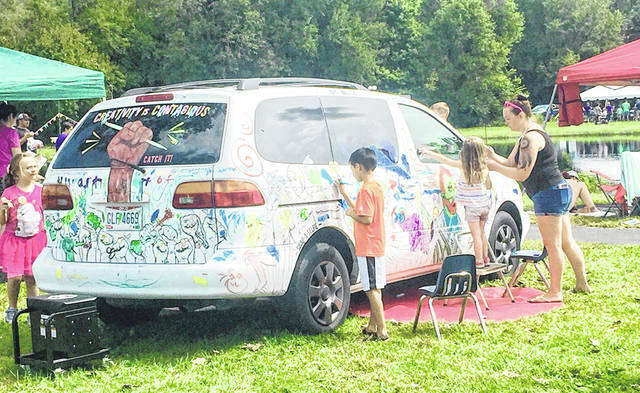 The Third Annual ArtFest raised money and displayed artistic works at Beavercreek Community Park on Sept. 16. More than 40 local artists of all mediums along with creative organizations will display their works. This year’s Featured Artist will be Jes McMillan with Crane Studios Market and The Mosaic Institute of Greater Dayton. 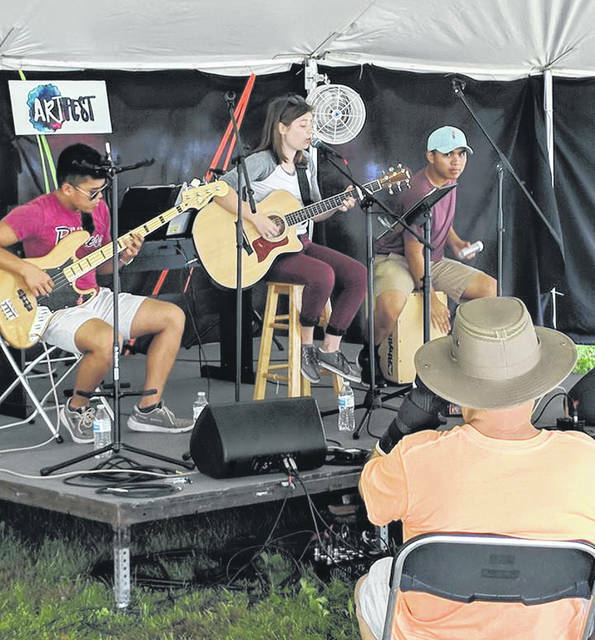 https://www.beavercreeknewscurrent.com/wp-content/uploads/sites/49/2018/09/web1_art01.jpegSubmitted photos The Third Annual ArtFest raised money and displayed artistic works at Beavercreek Community Park on Sept. 16. More than 40 local artists of all mediums along with creative organizations will display their works. This year’s Featured Artist will be Jes McMillan with Crane Studios Market and The Mosaic Institute of Greater Dayton. https://www.beavercreeknewscurrent.com/wp-content/uploads/sites/49/2018/09/web1_art02.jpegSubmitted photos The Third Annual ArtFest raised money and displayed artistic works at Beavercreek Community Park on Sept. 16. More than 40 local artists of all mediums along with creative organizations will display their works. This year’s Featured Artist will be Jes McMillan with Crane Studios Market and The Mosaic Institute of Greater Dayton. https://www.beavercreeknewscurrent.com/wp-content/uploads/sites/49/2018/09/web1_art03.jpegSubmitted photos The Third Annual ArtFest raised money and displayed artistic works at Beavercreek Community Park on Sept. 16. More than 40 local artists of all mediums along with creative organizations will display their works. This year’s Featured Artist will be Jes McMillan with Crane Studios Market and The Mosaic Institute of Greater Dayton.